Low roof available (≤ 250 cm) without additional costs. The P88 summerhouse is a real Lugarde classic. This model has a cross-section of 300 cm. Our customers find it the ideal spot for a cup of coffee, though you could just as easily use it to store your garden tools. 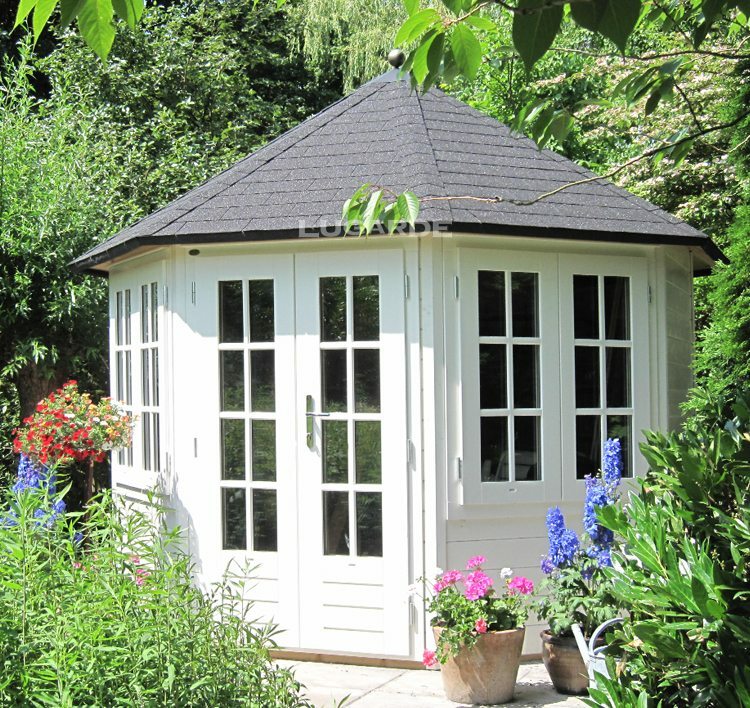 The many windows makes this summerhouse light and airy, and therefore very suitable as a hobby den.